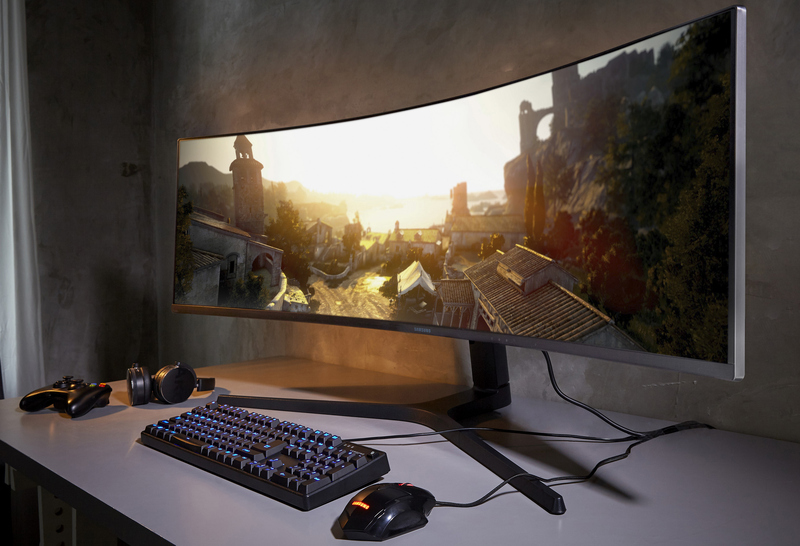 Samsung has announced its second-generation 49-inch curved display supporting AMD’s FreeSync 2 technology. The new CRG9 monitor features a considerably higher resolution and brightness than the first-gen C49HG90 LCD introduced in mid-2017. Samsung was the first display maker to launch a family of AMD FreeSync 2-supporting monitors in mid-2017 with a 49-inch curved C49HG90 LCD being its flagship offering. Without any doubts, the monitor was an impressive piece of hardware, yet at $1,499 it was not exactly perfect with its 3840×1080 resolution and a 0 nits brightness. Since then, a number of display suppliers have introduced their FreeSync 2-supporting offerings yet neither of them was actually as impressive as Samsung’s FS2 products. In the meantime, Samsung has been working on its second-gen FreeSync 2-enabled flagship monitor. 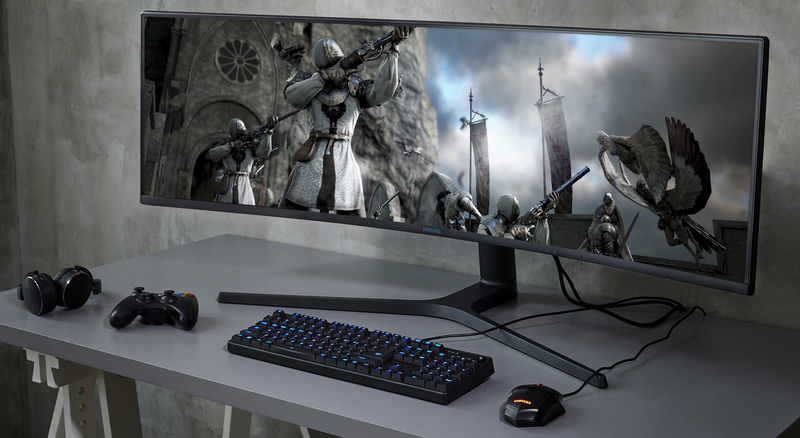 The new Samsung CRG9 ultra-wide display is based on the company’s new curved VA panel featuring a so-called 'dual QHD' resolution (5120×1440), a 1000 nits peak brightness, 178º/178º vertical/horizontal viewing angles, a 4 ms response time, and a 0 Hz refresh rate. In a bid to increase resolution of its flagship gaming display from 3840×1080 and brightness from 0 nits, Samsung had to lower refresh rate from 144 Hz to 0 Hz, which seems like a fair tradeoff. Just like in case of the previous-gen 49-incher, the new CRG9 display has a LED backlighting enhanced with quantum dots that enable support for the DCI-P3 color space (as well as larger-than-sRGB gamut) and the HDR-focused AMD’s FreeSync 2. Speaking of HDR, the monitor fully supports HDR10 (but Samsung says nothing about Dolby Vision) and bearing in mind that we are dealing with a panel featuring a peak brightness of 1000 nits, it will likely carry VESA’s DisplayHDR 1000 badge. Connectivity wise, the new monitor supports two DisplayPorts, one HDMI input, a USB 3.0 hub, and a headphone connector. Samsung did not disclose when it intends to start sales of the CRG9 monitor and how high its price is going to be. Based on unofficial information, the panel for the CRG9 display was expected to enter mass production in November 2018. If this is the case, then the commercial launch of the LCD is rather close. Samsung yet has to announce all the specs of its CRG9 monitor, so expect them to be disclosed around the time when it comes to market.